A VPN (Virtual Private Network) is a great tool to protect your privacy and increase your security on the Internet. It basically connects two computers securely and privately on the internet. A VPN is designed to provide a secure, encrypted tunnel to transmit the data between the remote user and the company network. The information transmitted between the two locations via the encrypted tunnel cannot be read by anyone else because the system contains several elements to secure both the company's private network and the outside network through which the remote user connects through. VPN adds a layer of security and privacy to both private and public networks such as Wi-Fi hotspots. As time has progressed, VPN's advantages have been realized more widely by users other than just companies and organizations. Primarily, companies and organizations started using VPN to communicate confidentially over public networks to send voice, video and data. It is also an excellent option for remote workers and organizations with global offices and partners to share data in a private manner. 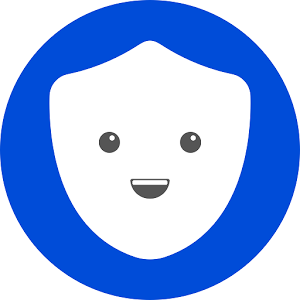 Now, personal users can also use a VPN to increase their security and privacy, access streaming channels and similar services everywhere and also to protect their identity anywhere on the Internet. Why do you need a VPN on your Smartphone? Your Smartphone contains a lot of your personal information. It is synced with your email, and your other profiles. It has access to all of your other personal data like your photos, messages, emails, Facebook, Twitter, Snapchat, etc. When you are connected to a Wi-Fi, your data could be shared with others whether that Wi-Fi connection is secure or not! And when you browse some websites, they save your data by accessing your real IP and finding out your real physical location! So by using a VPN you can browse websites anonymously because a good VPN gives you a different IP address than what the websites think. Also, by using a VPN, you can choose your desired Virtual Location to do your work safely and quickly, and also have free access to all websites everywhere without any concern.